Welcome to the very last post you'll ever see on Digital Digest (and on this blog) for the year 2011! Of course, today is Saturday, so we're here for Digital Digest just as we are each and every week. But just like last year, we also have our seventh annual Sitcoms on DVD Preview, where we look ahead at what is on the horizon for 2012. But before we get there, we have an abbreviated version of our usual news and preview of Tuesday's releases (abbreviated because there just isn't anything new out there this week). Let's get going! We mentioned a few weeks ago that My Living Doll would be coming to DVD in 2012 from MPI, but now we have a few more details, courtesy of TVShowsOnDVD.com. You can expect the two disc set containing eleven episodes of the series on February 28. Rules of Engagement has had somewhat of a storied broadcast history, often being placed (temporarily) in bizarre timeslots and being used as a midseason replacement, and it has had a similar history on DVD. But now, Rules of Engagement - The Complete Fifth Season is heading to DVD, only it will be a manufacture-on-demand product. Look for the release on February 21 from amazon.com. For fans of manufacture-on-demand DVDs, though, there is some more great news from Warner Archive. It appears that the sixth season of Night Court is on the way, but no date is known, yet. We'll have more on this once we know more about it, although given the way Warner Archive releases DVDs, this could be released literally at any time, within a matter of days, weeks, or months. In any event, we can't wait! Tuesday (January 3) only has one release, Universal's Alfred Hitchcock Presents - Season Five. We hope to have a review of this set soon. Perfect Strangers Online (perfectstrangers.tv) - We've mentioned this site many times in the past, and it is not pure coincidence. Perfect Strangers Online enjoys an unofficial, but amicable relationship with SitcomsOnline.com, and both sites do some cross-promoting with each other rather often. But we thought we'd go one step further this week and tell you about all of the great content that you can find on this website. While you will certainly find all of the basic information that you need about Perfect Strangers, the website does a great job of going much further in-depth and giving you the information that can only be found with careful and diligent research. As an example of some of the content that you can find on there, there is a dictionary that gives you some definitions of some of the words from the Mypos language--which of course, as any fan would know, is certainly not a language that can be translated by any other website! You can also find articles, print ads, fan fiction, and much more on the website. Of course, no website would be complete without an episode guide, and this site not only has one, but it has very thorough details for the episodes. Honestly, there is enough content on this site that we could break it into several Click of the Week segments, but instead, you can just go there and explore it on your own--just don't get lost! That is all for Digital Digest for this week... until next time, keep it digital! But until then, we have our special annual supplement, our seventh annual Sitcoms on DVD Preview! Welcome to our Seventh Annual Sitcoms on DVD Preview Issue! We will take a look at some of the releases that have been officially announced or rumored to be coming to DVD in 2012. Then we will offer some of our own predictions and shows that are on our wish list. Making their debut on DVD in 2012 will be Happily Divorced and My Living Doll. We should also see some of this season's new hit sitcoms, such as 2 Broke Girls, New Girl, Suburgatory and Last Man Standing released in the fall. Hopefully we will have news on many more new releases in the upcoming months. You never expect the guy in the loud, mismatched leisure suit to have sage advice. But Mr. Brown has a knack for stirring up controversy and then stumbling upon the higher road. Must be those neon patent-leather shoes that light the way! 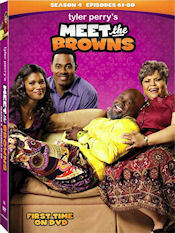 Cast: David Mann, Tamela Mann, Lamman Rucker, Denise Boutté, Juanita Jennings. Director: Tyler Perry and others (including Kim Fields, Alfonso Ribeiro, Mark Swinton, Chip Fields). Yippee-kai-aie! Shout! 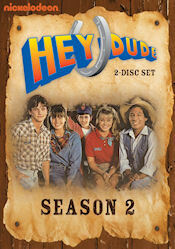 Factory is set to release all 13 episodes of Hey Dude: Season 2 on DVD on January 31! 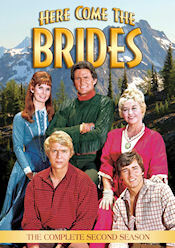 In Season 2, city-born rancher Benjamin Ernst (David Brisbin) and his herd of teenagers return to the Bar None Ranch for another summer of desert dustups and adventures, which include a plane crash, ghost stories, romantic turmoil, a treasure hunt and even an alien sighting. Hey Dude Stars Christine Taylor as lifeguard Melody, David Lascher as senior staff member Ted, Kelly Brown as horse trainer Brad, Joe Torres as Hopi Indian native Danny, Debrah Kalman as ranch hand Lucy and Josh Tygiel as Ernst's son Buddy. Hey Dude ran on Nickelodeon from 1989-1991, and has since become a cult sitcom favorite. So wrangle your boots, bandanas and cowboy hats, because the Bar None Ranch is open for business in Hey Dude Season 2! 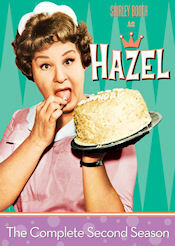 Oscar and Emmy Award-winner Shirley Booth returns as Hazel, the sassy and energetic live-in maid who runs her employers’ household with a little havoc, a lot of style and lot more laughter! Based on the original cartoons in The Saturday Evening Post, Season Two finds Hazel mixing it up at a bowling tournament, looking for a missing mailman, joining a protest against a developer and contemplating a marriage proposal from an old flame! Starring Academy Award-winner Shirley Booth (Best Actress, Come Back, Little Sheba, 1952) with Don DeFore (The Adventures Of Ozzie & Harriet), Whitney Blake (Strange Homecoming), Bobby Buntrock (The Virginian) and Maudie Prickett (Andy Goes Wild). All 32 original episodes. TV's funniest cast is back and better than ever in the hilarious fifth season of RULES OF ENGAGEMENT. Married couple Audrey (Megyn Price) and Jeff (Patrick Warburton) run into surprising hurdles while attempting to have a baby via a surrogate. Meanwhile, Adam (Oliver Hudson) and Jennifer (Bianca Kajlich) are still planning their wedding - with a little help from Timmy (Adhir Kalyan). Eternal bad boy Russell (David Spade) continues his shenanigans as a single guy on the prowl, but may have finally met his match. Guest stars include Sara Rue, Jaime Pressly, Joan Collins, and Criss Angel. Newly remastered. • "Uncle Andy’s Tricks of the Trade" mockumentary with Andy's wisdom and advice for fans. • "Born Botwin" featurette with Hunter Parrish and Alexander Gould discussing how their characters have inherited their dubious nature. The legendary queen of television comedy, Lucille Ball, is joined by her real-life daughter, Lucie Arnaz, in her third long-running sitcom success. Ball plays Lucille Carter and Arnaz plays her daughter Kim. Lucy works for her brother-in-law, played by Gale Gordon, who owns Carter's Unique Employment Agency, leading Lucy into endless predicaments and hilarious hijinks. 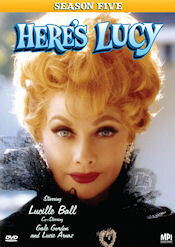 The complete fifth season of HERE'S LUCY (CBS-TV) features all 24 episodes uncut and digitally remastered for superior quality, plus a wealth of new and never-before seen special features. Meet Fran Lovett (Fran Drescher), an L.A. florist whose husband Peter (John Michael Higgins) came out of the closet, but couldn't afford to move out of the house. Now after 18 years of marriage, Fran is back on the singles scene looking for Mr. Right… and so is Peter! Can they remain "Happily Divorced" while juggling new relationships, and living under the same roof? Iconic actress Julie Newmar may be best-known as the original feline villain Catwoman in the 1960s Batman television series. 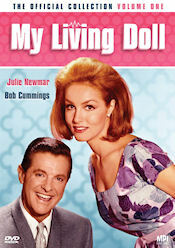 However, her cult-classic, small-screen career was cemented with the CBS-TV sitcom MY LIVING DOLL. Newmar portrays Rhoda the robot, a top-secret project of the U.S. government's space program, who is placed under the supervision of agency psychiatrist Dr. Bob McDonald, played by Robert Cummings (The Bob Cummings Show/Love That Bob). Bob moves the beautiful Rhoda into his apartment and begins the task of training her how to function in the human world while keeping her secret from being discovered, a situation complicated by his interfering sister (Doris Dowling) and his love-sick neighbor Peter (Jack Mullaney). Car 54, Where Are You? - According to information posted on our message board, Season 2 is coming in February from Shanachie Entertainment. Tyler Perry's House of Payne - Volume 9 was scheduled for a January 24 release, but there is no listing for it on Amazon.com yet. My Favorite Martian - Season 3 is in the works for a U.S. release from MPI Home Video and Chertok Productions. Many new special features are planned. It could be available in the spring. The New Adventures of Old Christine - As we first reported in the 12/24 Digital Digest, Warner Archive is working on a manufactured-on-demand release for Season 5. Night Court - As we first reported in today's Digital Digest, a manufactured-on-demand release for Season 6 is on the way from Warner Archive. These are my 2012 predictions and opinions only. Some of them probably have slim to no chance of ever being available, but I still have them on my wish list. None of these titles have been officially announced. Some current shows that I expect to see more seasons of or debut on DVD (some are already available for pre-order) include The Big Bang Theory, Community, Cougar Town, Curb Your Enthusiasm, The Game, Happy Endings, Hot in Cleveland, How I Met Your Mother, It's Always Sunny in Philadelphia, Last Man Standing, The League, Melissa & Joey, The Middle, Mike & Molly, Modern Family, New Girl, The Office, Parks and Recreation, Raising Hope, Suburgatory, 30 Rock, Two and a Half Men, 2 Broke Girls and Up All Night. According to Jim - Seasons 3-5 were released in 2011. Could we see the final 3 seasons released in 2012? 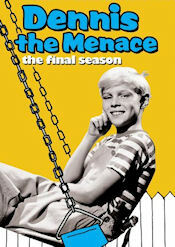 The Adventures of Ozzie and Harriet - A project is ongoing by Sam Nelson to get the show restored and complete on DVD. Alice - A Christmas episode was released on the Classic TV Christmas Collection in 2010. I think it would be an ideal on demand title from Warner Archive. Archie Bunker's Place - We could start seeing more seasons now that All in the Family has been completed. 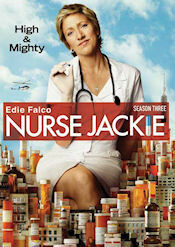 Becker - The series seems to be stalled, with the last release in January 2010. The Bob Newhart Show - The Complete Fifth and Sixth Seasons are available for pre-order on Amazon.com . Will they finally be released this year? Coach - Season 4 was released in March. Maybe we'll see another season this year. The Courtship of Eddie's Father - Season 1 was released in September by Warner Archive. Hopefully we'll see the remaining two seasons this year. Designing Women - Season 5 was released this month. Only Seasons 6-7 are left to be released to complete the series. Diff'rent Strokes - Shout! Factory picked up the rights to The Facts of Life and released 2 seasons in 2010. I hope they do the same with this show. The Facts of Life - Seasons 4 and 5 were released in 2010. Shout! Factory is releasing many lesser known series, so it has to be a rights issue between them and Sony. 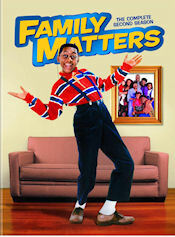 Family Matters - Season 2 is finally coming in February. Hopefully it won't be that long of a wait for more Urkel and company. Family Ties - Season 5 was released way back in March 2009. 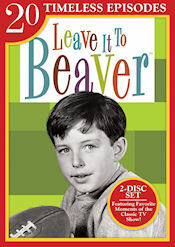 This series appears to be stalled, but let's hope CBS DVD/Paramount have some interest in releasing the rest of the series. Growing Pains - The second season and two reunion movies were released in 2011. Hopefully Warner Home Video will continue to show us that smile. Happy Days - Season 5 was released way back in December 2008, but it seems many CBS DVD/Paramount series have been stalled. The new Fan Favorites: The Best of Happy Days release could be a good sign. Hazel - If Season 2 sells well, maybe we'll see more seasons later this year. Here's Lucy - Only the sixth season will be left to complete the series after season five is released in February. I'm Dickens...He's Fenster - It seems likely we'll see the second volume of this lost gem sometime in 2012. Less Than Perfect - Season 1 was released in September 2010. Hopefully this underrated series will have more seasons available in 2012. The Lucy Show - Only the sixth season is left to complete the series. Mama's Family - A Christmas episode was released on the Classic TV Christmas Collection in 2010. Season 2 would be nice to see through Warner Archive. My Two Dads - Only the third season remains to be released to complete the series. Night Court - Season 6 is in the works. We'll only need Seasons 7-9 after that to complete the series. Out of This World - Volume 1 was released in Germany in November. Will we see a U.S. release at some point? Perfect Strangers - Warner Bros. has a "best of" collection available on the On Demand service at Amazon.com . This could be a good sign that we'll eventually see the second season on DVD or maybe as part of WBShop's on demand store. We desperately need more Balki! The Phil Silvers Show/Sgt. Bilko - We're still waiting on the second season. Please Don't Eat the Daisies - I remember watching this series and The Coursthip of Eddie's Father on WWOR. It would be a nice release for Warner Archive. Rhoda - It's frustrating to be missing only one season for a number of series. Welcome Back, Kotter - An episode was released on the Classic TV Christmas Collection in 2010. The remaining seasons would be fantastic to see. 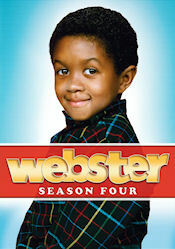 Webster - Seasons 1-4 were released at a brisk pace. Only Seasons 5-6 are left to complete the series. The Wonder Years - The first season had only six episodes. It could be given a trial run. Music licensing rights are a major issue, but hopefully a company like Shout! Factory could work on this set. It has been the #1 most requested unreleased show at TVShowsonDVD.com by a wide margin for many years. While we wait for the DVD, you can watch it on The Hub, Netflix and Amazon.com . What are your predictions for 2012? Which new releases are you most excited about? What are your most wanted unreleased sitcoms? Post your comments on our Facebook page.